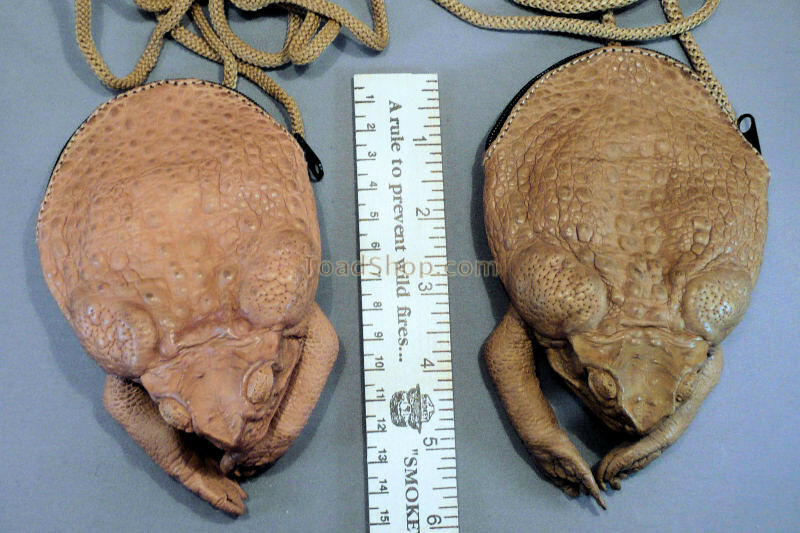 A unique shoulder purse made of real Australian Cane Toad leather. Comes with legs. We offer two sizes. 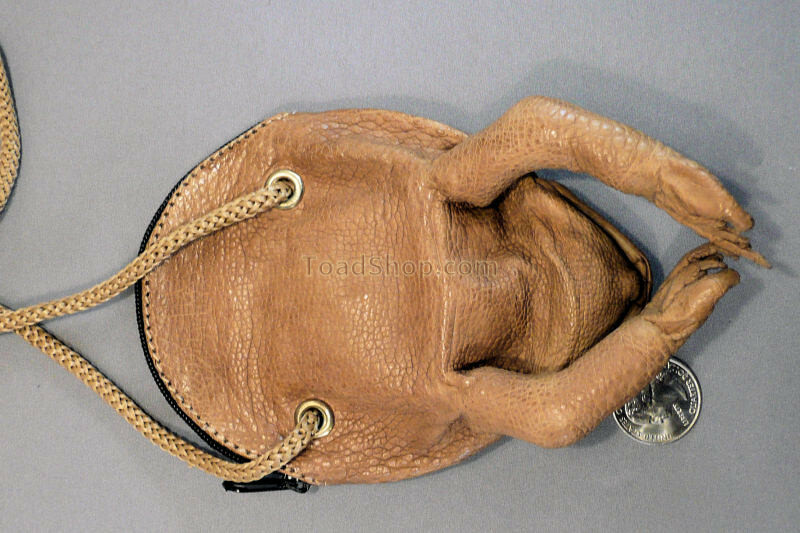 This purse is similar to the coin purses but larger and has a cord long enough the hang the purse off your shoulder. 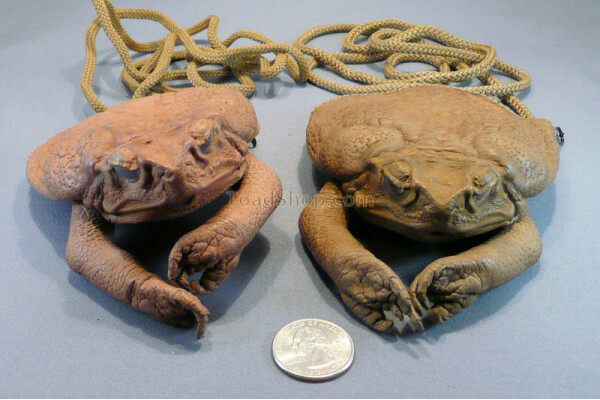 The extra large purse size is approx 1" to 2" longer than the normal size.